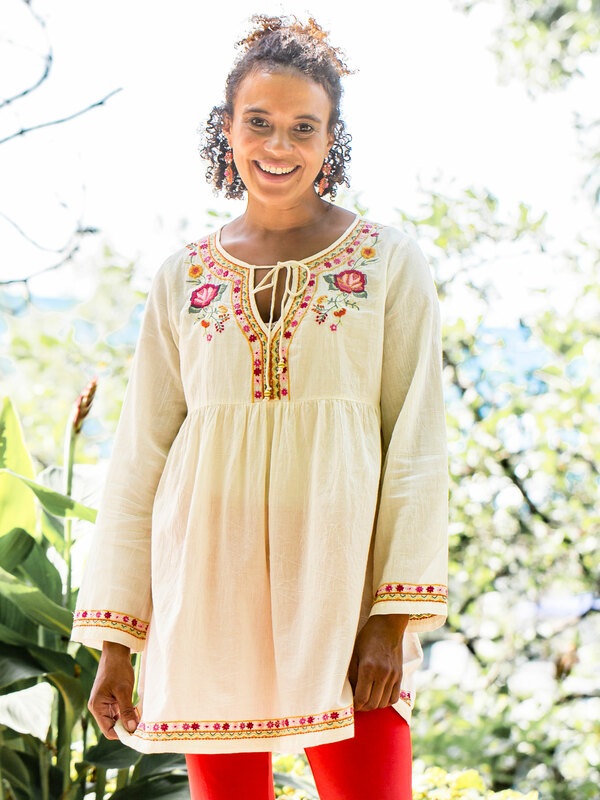 This blouse tastes like the tropics spritzed with a tantalizing hint of Indian masala! 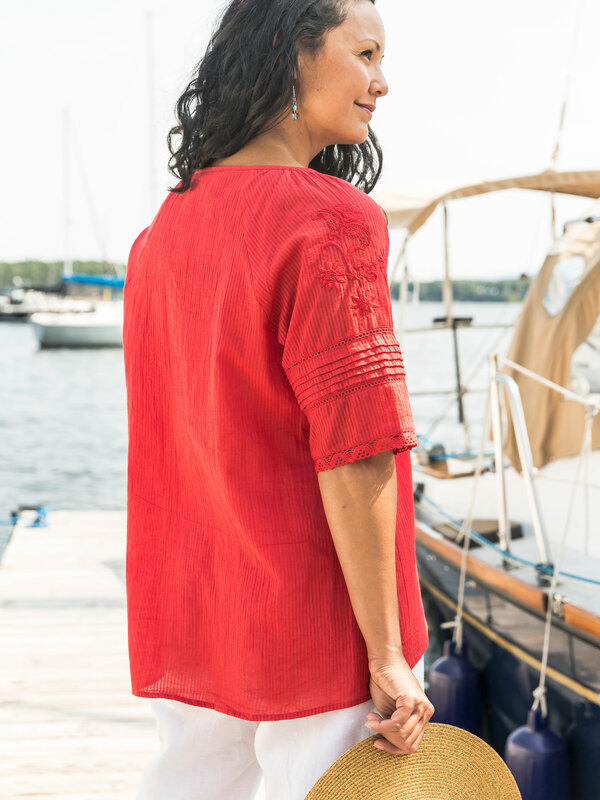 It's all about delicious self stripe cotton, and the exquisite flavor on the sleeve of the Tassle Red blouse. Stitched pleats, tonal embroidered detail and lace accents. Caramba. I love this blouse, what a great color and fit. 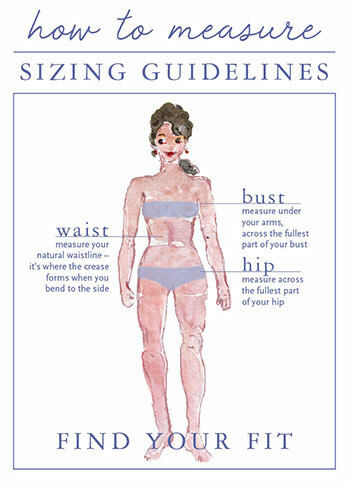 No need to wear a camisole thank goodness. 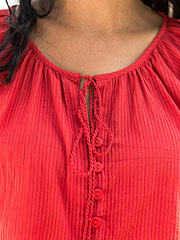 This blouse is very pretty, the color is flattering and the fabric is comfortable. IMHO the price is exorbitant for a simple light cotton blouse.